One year after the official 300 launch, another legendary reel is back. Welcome to the 498 series! To guarantee its success, Mitchell took back all historic bases content in 3 words: Powerful, Strong & Resistant. 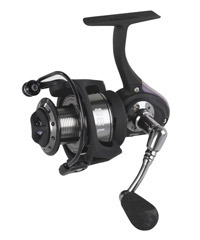 This reel will become the ultimate fishing tool for all strong saltwater applications. A legend is re-born with a real Mitchell look and feel reel. Available in four different sizes to fit all your saltwater needs.  6 + 1 bearing including IAR.  Super-strong main gear system and sealed drag.  Saltwater ready - durable, strong and powerful.  High resistance drag system: 11kg for both 398/498 sizes.  Innovative Bail Halo for superior strength in GV5H material.  Double anodised aluminium spool.  Extremely strong aluminium body.